For more than 25 years we’ve been welcoming our guests to the big log cabin with the red roof in remote Naden Harbour. For many, it’s become quite a tradition and every summer we look forward to creating special memories of time well spent with friends. Over those many years, we’ve seen lots of change. We’ve learned many lessons and made pretty good progress on our goal of providing the very best fishing adventure holiday available anywhere. Enjoy some of our history, made richer by the people who work here and our many guests who visit us as much as they can! Queen Charlotte Lodge opened its doors on June 9th, 1991. The 20-acre property on the western shore of Naden Harbour of BC’s Queen Charlotte Islands was acquired in 1990. It was formerly the site of the Naden Harbour Whaling station, which operated there from 1911-1943. Many challenges were faced in putting the project together, considering its remote location, lack of services and communication and the typically inclement north coast winter weather. Careful consultation took place with the Haida and the local community before proceeding to ensure the long-term success of the lodge. Lodgepole pine from northeastern BC was selected for its attractive golden glow and lasting beauty. A unique company from Wonowon, near Fort St. John in northeastern BC, was contracted to build the lodge. Kanusa Construction was comprised largely of a group of families as the core with various subcontractors hired on. They moved to Naden Harbour in March 1991, distributed throughout the available accommodation onsite, on the MV Driftwood anchored offshore and across the harbour at Peregrine Lodge. The concrete footings were poured in mid-March and construction proceeded at a brisk pace with as many as 70 people working seven long days a week. All cooking and dining occurred at the “Hard Times Cafe” – now known as the Haida House! The central fireplace of the main lodge was the big feature, built entirely of stones gathered from all over the harbour by members of the crew. Comprised of 65 tons of material the fireplace dominates the lounge with an inside height of 36 feet. The opening day was a big event! On June 9th, less than three months after the initial footings were poured, government representatives, Haida Chiefs and Elders and islanders from all over “the Charlottes” (as the islands were known), found their way out to Naden Harbour. Floatplanes provided free transportation from Prince Rupert, Sandspit, Queen Charlotte City and Masset. A chartered Convair departed Vancouver at noon with the first group of guests including Haida artists Bill Reid, Robert and Reg Davidson. By the time event host Phil Reimer called everyone to begin the ceremony, 500 people were on hand! After the speeches from chiefs and dignitaries came performances from traditional Haida dancers. The highlight of the ceremony was the naming of the lodge, an honour bestowed by respected Haida elder Grace Wilson. It is called “Ta Ja’uus Na Ka Ganaas” which means: “A Place to Weather the Storm”. There was a traditional scattering of eagle down, drumming and dancing followed by a huge feast of traditional Haida delicacies. During the first season just over 900 guests came to stay at Queen Charlotte Lodge. The fishing was spectacular and we were quite encouraged by the response. During the following winter a six-bedroom chalet called “Queen Charlotte House” was added. This 2000 square foot facility was especially suited for the exclusive comfort of 12 guests. Bob had originally hoped he could use it for his occasional visits to the resort but it has been virtually sold out since it opened in 1992! In winter of 2000 the Queen Charlotte Lodge was purchased by a group of 3 Vancouver businessmen led by Paul Clough with partners Pat and Tim Delesalle. The new owners enthusiastically made very significant investments in improvements to the property and equipment. Paul implemented new standards of business operation that started the Lodge on the path to an expansion of services and facilities. Over the next few years the business grew and improved steadily. Drawing new clientele from a thriving economy in western Canada through the mid-2000’s compensated nicely for dwindling US bookings that resulted after nine-eleven. During that period the lodge witnessed a dramatic swing in the demographic makeup of its clientele. Prior to 2002 the guest list was generally 75% US and 25% CDN. With security and economic challenges in the US, the proportions reversed. US-based clientele have remained around the 25% mark ever since. Strong growth through 2007 encouraged investment in new facilities and equipment. A top-end accommodation, built of Lodgepole pine to match the main lodge, was completed through the winter of 2008. The striking new facility, perched right at the water’s edge, provided a deluxe private lodge for up to 8 guests, complete with the services of a personal Chef and Hostess. The entire lower level was committed to fantastic common features like the Twin Creek Spa and Fitness Centre, a corporate boardroom and a large multipurpose event room. The fleet of custom-built, 21-foot fishing boats expanded to 18 at that time with the introduction of deluxe features like electric downriggers and satellite radio. The aging wooden docks were fully replaced by specially constructed facilities on 4 concrete floats. Encompassing the weigh-in station, Pro Shop, washrooms, specially ventilated locker rooms for flotation jackets and gear, offices, staff accommodations, fish processing / freezing and marine mechanical shop, it stands out as the best fishing facility on the coast. The economic downturn in 2009 brought on some challenging times and the lodge, like most businesses, felt the pinch, having to lean on ownership to ride out the storm. In an attempt to attract new business from “outside the box” we ventured into the world of reality TV. Working with local television personality Gary Cooper we shot 13 episodes of “The Lodge” during the 2009 season for a new cable channel called the World Fishing Network (WFN). While some questioned the real marketing value of the project, (and it did have its challenges) we actually broadcast 33 episodes over 3 seasons and did attract quite a lot of attention! In 2003 the company purchased a cedar house on the waterfront in Masset harbour to operate as a fully-guided fishing lodge called Masset House, introducing a fleet of four 23-foot Grady Whites moored at the new Masset docks. The project performed well but with the economic challenges of 2008 it was decided to close the fishing operation in Masset and move the 4 Gradys to the lodge in Naden Harbour. This bold move provided yet another turning point in the evolution of QCL. After 17 years of using exclusively aluminum boats, the lodge began a program, which by 2015, had evolved to comprise 15 deluxe, fully guided Grady White vessels. Coincidentally the approach to fishing at the lodge had evolved from being primarily self-guided to employing a team of 34 guides in 2015. The location of the lodge inside sheltered Naden Harbour necessitated daily travel to and from the fishing grounds of about 20 minutes each way. In answer to the travel challenge, hospitality services were extended to the fishing grounds in the form of the MV Driftwood, a 100-foot vintage wooden vessel, anchored in calm water near the fishing action. The Driftwood actually predates the lodge by 3 years as Bob Murphy used it to fish with his clients in these waters in the late 80’s. Initially the ship provided only lunch, snack, bathroom and safety services, but demand soon necessitated development of accommodation on board. Tailored largely for the keenest of anglers who wanted maximum on-the-water time, the Driftwood program attracted a loyal following, housing up to 12 anglers every trip. After the 2011 season it was decided to sell the original MV Driftwood (built in 1941 in California for the US Army) and replace her with another wooden ship, called MV Songhee, built in 1944 in New Westminster for the RCAF. After extensive renovations the Songhee (renamed Driftwood) sailed to Naden Harbour for the 2012 season to continue its significant role in the QCL hospitality and fishing programs. The look of Queen Charlotte Lodge evolved over the same period as we continued to develop the brand; ranging from visual improvements on the property through new corporate colours to a revision of the company logo. The creation of the “hooked Q” signified the start of a new phase of the “QCL” story. In 2010 the provincial government officially renamed the islands Haida Gwaii as part of a reconciliation protocol between British Columbia and the Haida people, leaving the name “Queen Charlotte” on the outside, so to speak.  As a result, the name QCL – Haida Gwaii and the corresponding logo have emerged as the company’s popular identity. For the 2006 season the lodge contracted Helijet Airways to transfer guests from Masset using their executive-style Sikorsky S-76 and S-61 helicopters. More commonly seen in the Vancouver/Whistler/Victoria settings, this service gained recognition as a serious upgrade for lodge guests and the associated increase in cost was accepted with some understanding. Complimentary to the efficient helicopter service was the introduction of the first chartered jet transfer from Vancouver. Yukon’s Air North came on board to provide fast, quiet and comfortable air transfer with a 75-minute flight via 737 jet from Vancouver to Masset. The combination enabled QCL to bring guests from Vancouver and have them on the water in less than 2 ½ hours. Another turning point in the business came in 2003 when Harbour Air announced that it would close its floatplane operation at Sandspit, leaving many lodges scrambling for alternative transportation. The answer came from Vancouver Island Helicopter who used a number of Bell 212 machines on the islands to service the logging industry. Moving 13 passengers with a 15-minute flight from the Masset Airport, the twice-weekly process called “changeover” became much more efficient and reliable. The distance was less than half and the turnover time for the machines on the ground was much quicker. Competition for a limited number of machines brought about the introduction of the current travel configuration, which is a far cry from its origins! Transportation is a huge consideration when operating in such a remote locale and the evolution of this aspect is another interesting part of the QCL story. In 1991 the lodge began with Trans Provincial Airways, utilizing a Convair 440 turboprop from Vancouver airport South Terminal to Sandspit. A 15-minute school bus transfer to the float plane base at Alliford Bay preceded the 35-minute flight to Naden Harbour aboard 17-passenger Twin Otters, augmented by 6-passenger Beavers and a Grumman Goose which held 8. The amphibious Grumman was also used to transfer freight, groceries and fish as it could land at the airport. A unique feature of this aircraft was that it could actually drive right up onto the beach in front of the lodge when the tide was right. As a major operating expense the aircraft component was vigorously negotiated every year and equipment changes included use of different Convairs from Kelowna Flightcraft, Dash 7 and Dash 8 planes from Air Canada Jazz and float planes from Harbour Air and Waglisla Airlines.